I have two cards to share for Unity's Friends with Flair Friday. First one uses the free digi stamp Ang gave all of us to play with! This card was a rough ride for me. I really didn't like anything about it... I won't even tell you how long I spent just rearranging the flowers with the sentiment to figure out the placement on the card. Way too long. But when the very final dab of Stickles was added, the cute washi tape stuck on... I could say I was a proud mama! My next card plays with my Donna Downey Unity stamps... fitting right!? I am also entering this card into the Unity color challenge this month. I created the background by placing Distress Inks directly on my craftmat, spritzing with water, and then lying the cardstock on top of the inks. 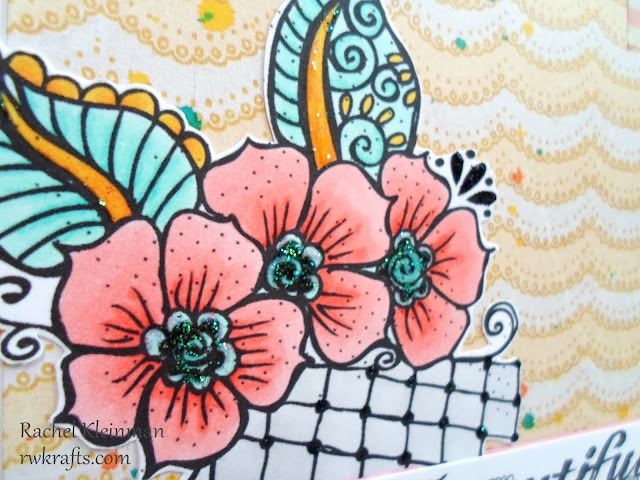 I then used Gesso with my Dylusions stencil to get those bright polka dots. Once everything was dry, I stamped the flowers three times. The sentiment was inked with all the colors in the background. Stamps - Unity Stamp Co w/ Donna Downey "Insightful Meadows"
Inks - Distress Ink "Wild Honey", "Picked Raspberry", "Chipped Sapphire"
I love the background on the second card. Both are so pretty. Both cards are absolutely awesome---well done! I love both your cards! Have a great time at your art class. With Donna Downey! WOW! Lucky you! Oustanding projects! Love the feel to each one and the bit of sparkle on the first and the distress inks on the 2nd really make those cards POP! you are an artist my friend. TFS your art and talent. Beautiful! Love both of your creations! Very pretty use of colors. Like the scallops on first card. 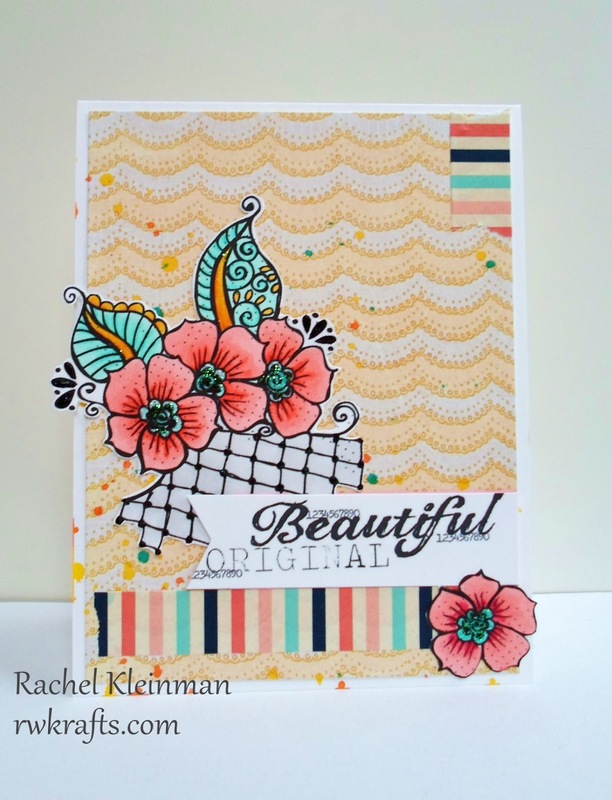 Gorgeous cards Rachel and congrats on your first one being chosen as a finalist over on Unity Show and Tell for the coloring contest. I am also a little jealous of your upcoming class too.....ENJOY! Rachel.. wow wow wow!! Your cards are gorgeous - congrats on being chosen as a finalist! two pretty, pretty cards! congrats on the win....we loved your card. I guess the extra time spent on it really paid off. That second card is so cool, too. 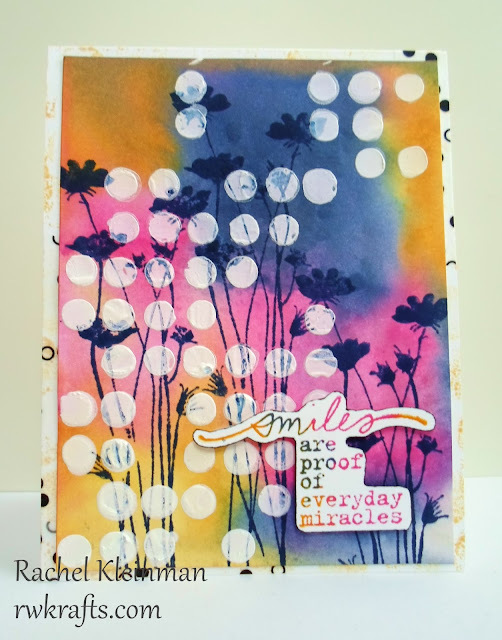 LOVE the gesso'd dots over the gorgeous colors. thanks for playing with us at Be Inspired. Awesome cards. Congrats on being a finalist for the color challenge with the first one and I really need to learn some new techniques re: the 2nd one - just fabulous. So jealous you get to go to a Donna Downey class! And congrats on your card making it to the Unity finals! Beautiful cards! Both are so bright, happy and fun! That second one really captivates my attention...WOW!!! I love it! Rachel I have craft envy - Donna Downey! Have a fabulous time! Love both of your cards today - the second sings to me! Great cards! Congrats on being chosen as a finalist for Unity! Beautiful cards! The first one really rocks it, though, with the colors and the sparkler - love it! Gorgeous cards Rachel. Love them. Great cards. Super pretty. Love the technique on the 2nd one. Just Because Linky Party 8/1-/31! The colors in the first one are great and those flowers with the sparkly centers are beautiful!! That second card looks familiar, probably because I have it sitting on the shelf in front of me because I LOVE to look at it!! Thank YOU!! Wow! This card for the challenge is gorgeous! 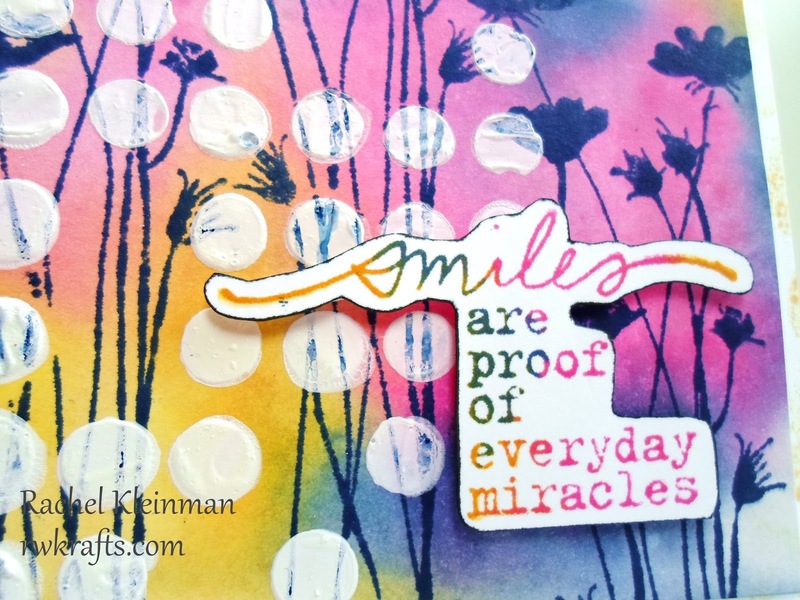 I love those distress inks paired with the Donna Downey stamps. 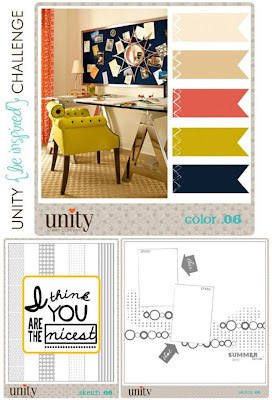 Thanks for joining us at Unity for the Be Inspired Challenge this month!